Kimberly Humphries-Washington began writing at the early age of twelve. Using a pencil and a spiral notebook, characters came to life on those pages until the sides of her fingers were indented and cramped from writing. Her childhood dream has always been to write a novel. Kimberly studied at Duquesne University in Pittsburgh, Pennsylvania, and graduated with a bachelor’s degree in journalism. While there, she wrote articles for the university magazine. 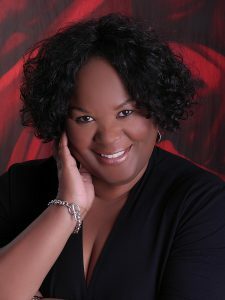 After graduating from college, she worked as a public relations coordinator for Ziff Davis Publishing in New York City and a publications specialist for DeKalb College in Atlanta, Georgia. She eventually switched careers and decided to pursue another love of hers—fashion. She landed a job at Liz Claiborne Inc. in New York City as a merchandiser. But for the Grace, is her first novel but certainly not her last. She currently lives in Matawan, New Jersey, with her husband.